From social networks such as Facebook, the World Wide Web and the Internet, to the complex interactions between proteins in the cells of our bodies, we constantly face the challenge of understanding the structure and development of networks. 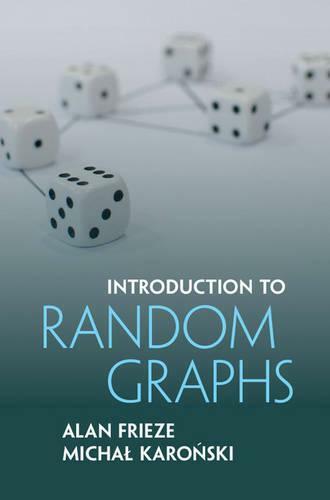 The theory of random graphs provides a framework for this understanding, and in this book the authors give a gentle introduction to the basic tools for understanding and applying the theory. Part I includes sufficient material, including exercises, for a one semester course at the advanced undergraduate or beginning graduate level. The reader is then well prepared for the more advanced topics in Parts II and III. A final part provides a quick introduction to the background material needed. All those interested in discrete mathematics, computer science or applied probability and their applications will find this an ideal introduction to the subject.